The Night Before Larry Got Stretched returns to The Cobblestone after the summer break. 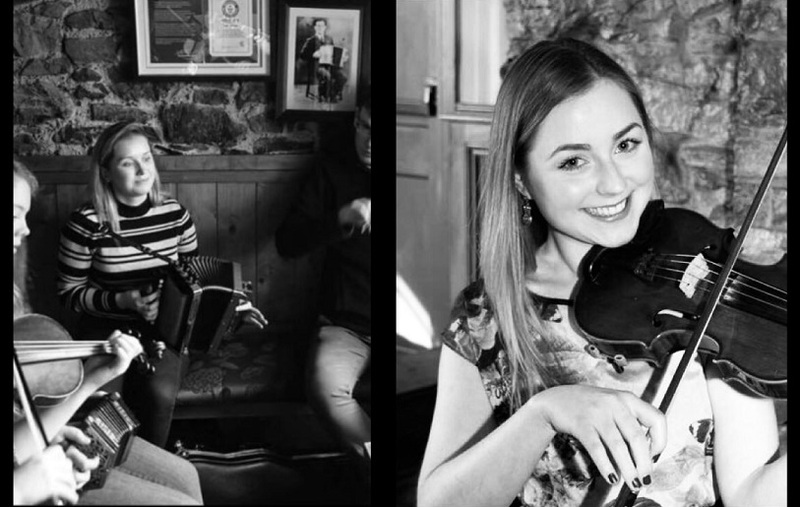 We’re delighted to welcome two of Mayo’s finest, Creena Mulchrone and Stacey Gilroy, as the guest singers at this weekends session. Creena Mulchrone is a singer and musician from Ballina, Co.Mayo. She learned her first music from Bofield CCE and surrounding neighbours in an area rich in musical talent. She continues to attend and perform at various festivals including The Joe Mooney Summer School and Inishbofin Set Dancing Weekend. Stacey Gilroy is singer and musician from Killala in County Mayo. A primary school teacher by day, Stacey took time out in recent years to pursue her love of music and successfully completed an MA in Irish Traditional Music Performance in the University of Limerick. She plays with four-piece traditional Irish band Luascadh who released their debut album ‘Time of Day’ this year.